Football season is upon us, and with that means is game day parties full of tasty appetizers and game day food, to fill your tummies as you cheer on your favorite team. 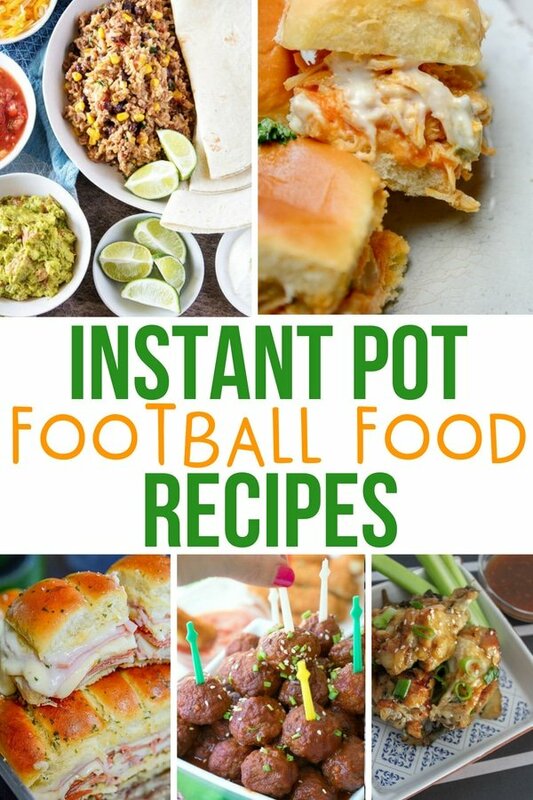 Instant Pot Football Foods From the perfect slider sandwiches, dips to pair with salty tortilla chips and more. I got you covered on game day foods to make a feast for you and your guests! 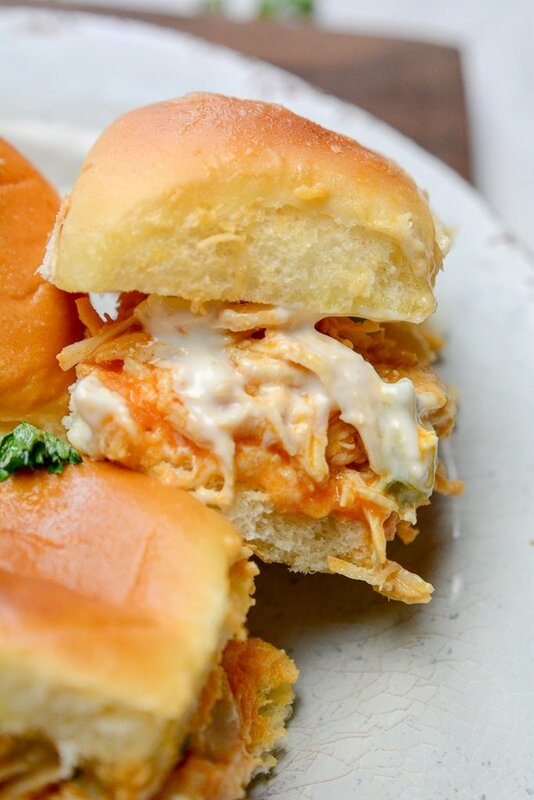 Instant Pot Buffalo Chicken Sliders| Watching a football game isn’t the same unless you have some buffalo chicken! Juicy chicken with a perfect amount of spicy goodness everyone will rave about. Instant Pot Mississippi Pulled Pork Dips| Ooey gooey and mouthwatering pulled pork sandwiches that will make your taste buds feel like they are in food heaven. South West Instant Pot Burritos| These savory burritos are sure to be the winning touchdown! Perfectly seasoned ground beef, Rotel tomatoes, corn and zesty lime juice taste so good together. Easy Italian Slider| Not only do these sliders taste fantastic the look gorgeous. The subtle flavors of the mustard and garlic take these sliders to the next level of awesome! Jalapeno Hot Popper & Chicken Instant Pot Dip| You just have to have an amazing dip recipe to complete your football party. 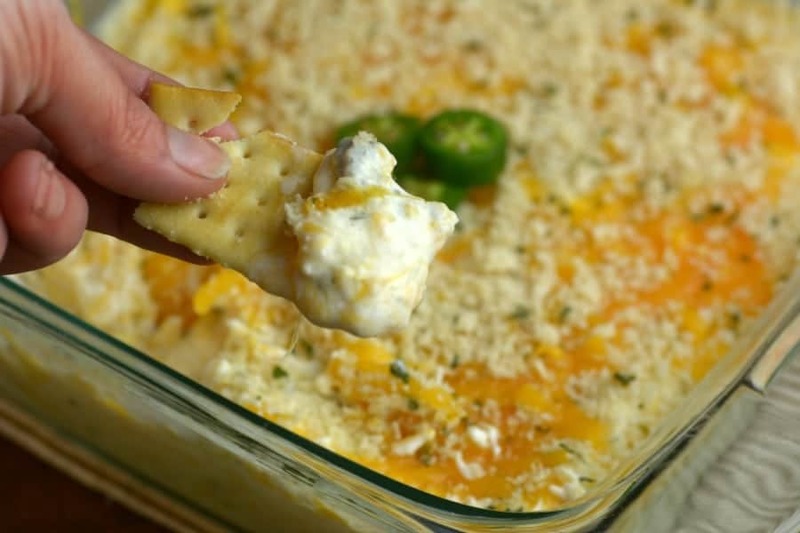 This dip will blow your mind with the right amount of heat paired with the creaminess of the cheese. 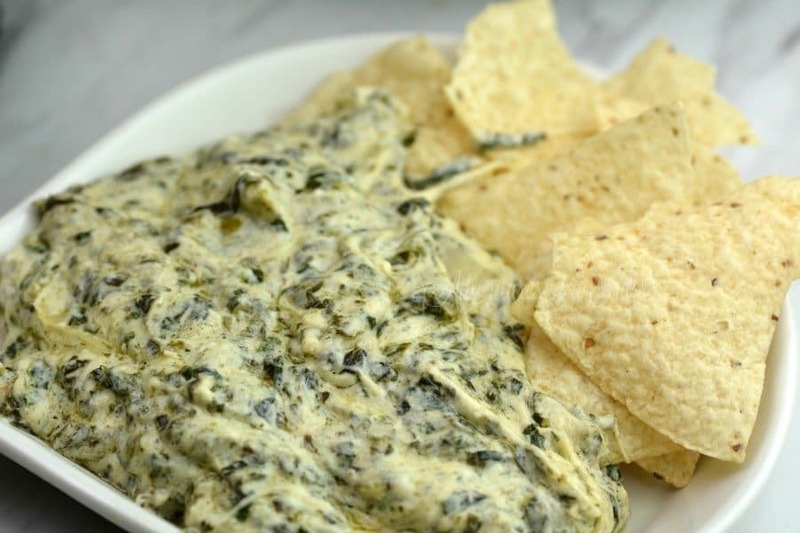 Instant Pot Artichoke and Spinach Dip Applebee’s Copycat| If you plan to make this dip, you better keep in mind you won’t have leftovers! It’s creamy and just so good. Serve with tortilla chips or crackers. Cracked Up TaterTots With Instant Pot Ranch Chicken| Once you make these tater tots you are going to be addicted to them! The ranch chicken in combination with the bacon and tater tots is mind-blowing good. Instant Pot Chicken Burrito Bowl| Everyone will rave about these burrito bowls. Delicious spices, pico de gallo, black beans, rice, diced tomatoes, juicy chicken and more make these bowls amazing! Buffalo And Ranch Instant Pot Wings| Get the party started right with these lip-smacking wings! These are seriously the easiest wings to make ever! You won’t be disappointed. Asian Glazed Meatballs| The glaze on these meatballs is so good and has the right amount of spicy sriracha, tangy vinegar, and sweet honey to give your taste buds and explosion of flavors. 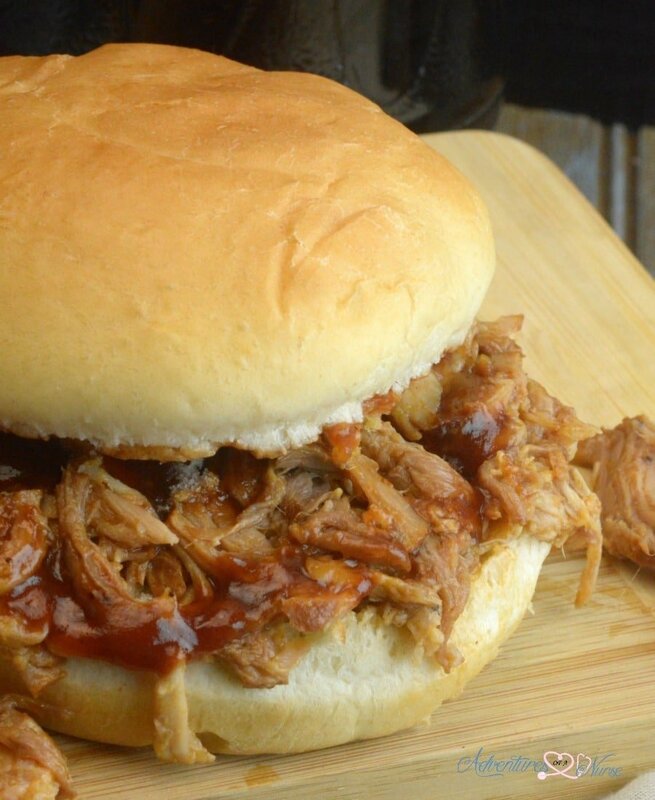 Dr. Pepper Instant Pot Pulled Pork| You need to have this recipe in your life! Dr. Pepper, seasonings, pork roast, barbecue sauce, and onion are all you need. Instant Pot Shredded Beef Tacos| These shredded beef tacos are perfect for watching a football game at home or taking to a tailgate party. Either way, you and your friends are going to love them! Instant Pot Buffalo Ranch Chicken Dip| Watching football and eating dip just go together! This dip is cheesy and creamy. Your taste buds will thank you. Easy Instant Pot Perfect Chili| This chili is just what you need for the next game. It goes well with hot dogs, on nachos or even as just a bowl of chili. Simply delicious! Instant Pot Cheeseburger & Fries Party Dip| This dip is out of this world good! It’s cheesy and goes well with chips, crackers or vegetables. Either way, this is a crowd-pleasing dip. Sesame Chicken Wings| Super easy and super flavorful. You and your guests are going to want to lick the plate clean after eating these. You won’t regret making these wings! Instant Pot Crack Chicken| Juicy chicken breasts, bacon, ranch seasoning, cream cheese and cheddar cheese create a mouthwatering recipe that you are going to want to eat over and over again. Instant Pot Dr. Pepper Barbecue Meatballs| These yummy meatballs just scream party food. Enjoy these for the next game you watch and you will fall in love. Rootbeer Chicken Wings| Once you make these wings your life will be changed forever! The best part is they only take 3 really easy ingredients! 30 Minute Fall Off The Bone Ribs| Can you imagine having fall off the bone ribs in only 30 minutes? These ribs are so mouthwatering and tender. This recipe will become a football game favorite!